Al Ain staged its final fixture of the campaign, the penultimate meeting of the UAE season, on Thursday afternoon. The featured Al Ain Sprint was won imperiously by RB Money To Burn, defending her unbeaten record in the style of an exciting filly. Well away under Fabrice Veron, the pair were never headed with the race in safekeeping just after halfway when they skipped clear with the jockey seemingly doing anything more than ask her to quicken. Kept up to her work in the final 200m, the 4-year-old filly was never in any danger of being caught. Trained by Eric Lemartinel for Sheikha Alyazia bint Sultan Al Nahyan, she has now landed each of her four starts. A similar scenario emerged in the following 1400m maiden, this one for 4-year-olds only, in which Opera was pretty much last of the main group of runners on the home turn before making relentless progress throughout the duration of the straight, grabbing the initiative from Dora Al Mels just before the 200m pole before digging deep to deny that rival’s renewed challenge. 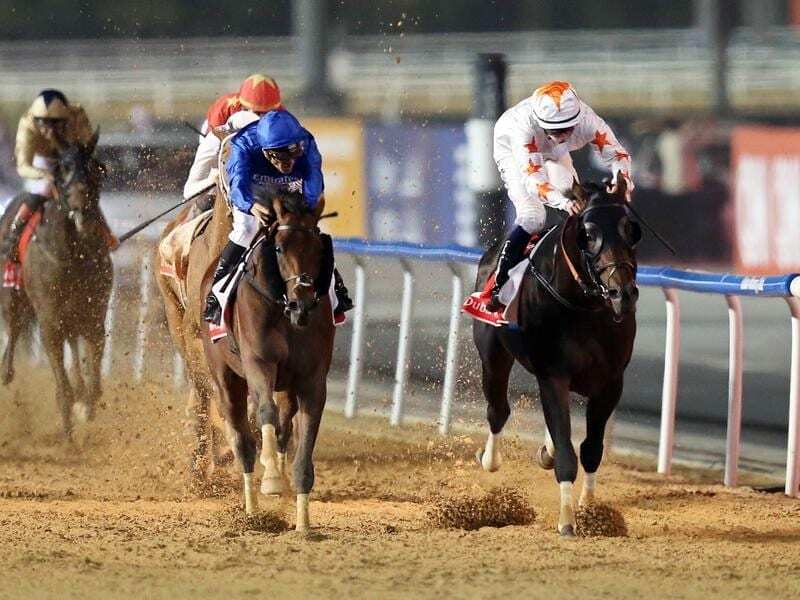 Completing doubles for Al Hammadi and Al Ajban Stables, Fernando Jara was in the saddle on this winner who was registering her first success on her dirt debut after four appearances on the Abu Dhabi turf when finishing well beaten on each occasion.